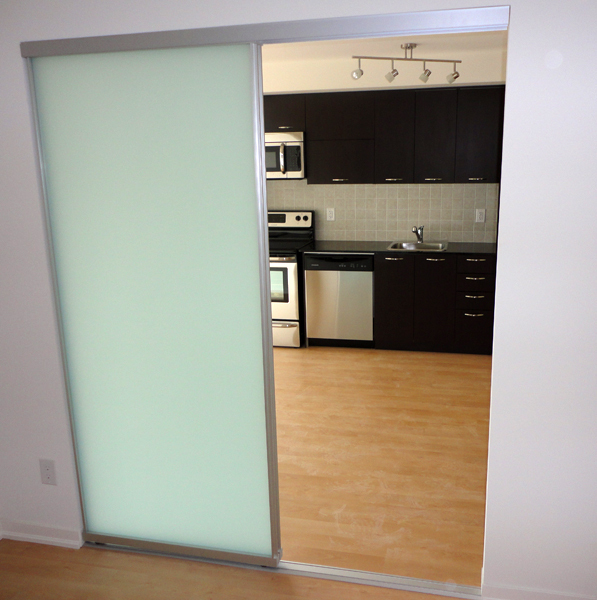 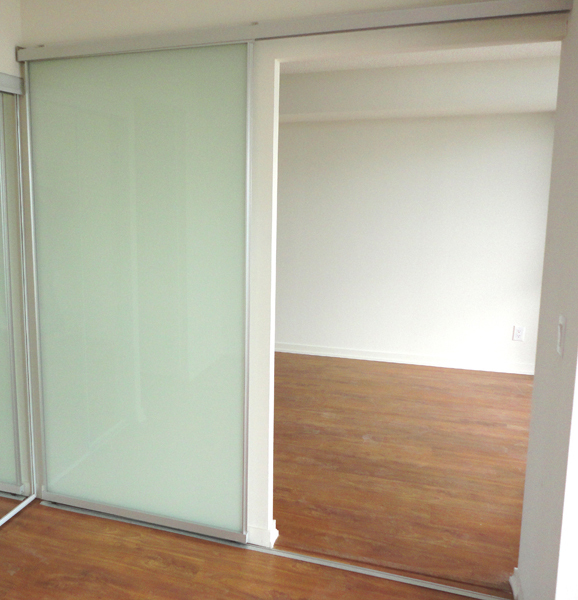 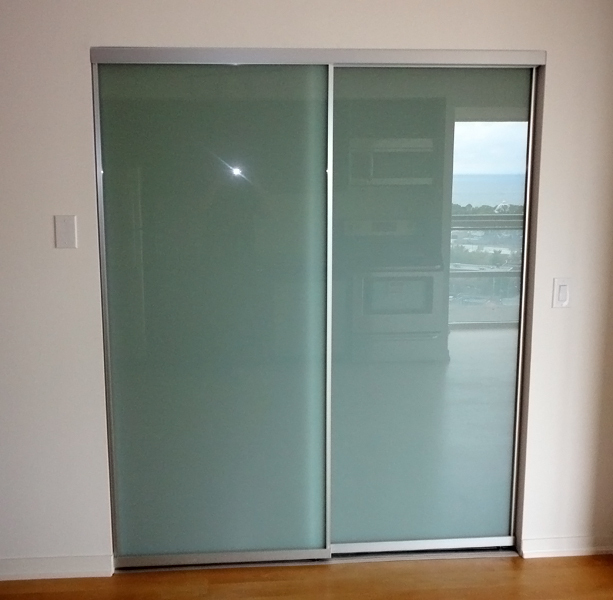 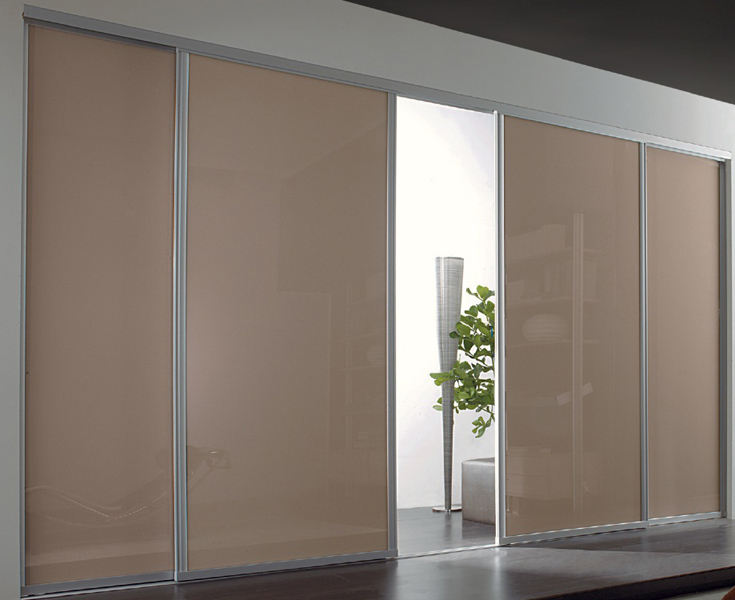 Satin aluminum framed sliding glass dividers can be used in any room as closet doors or in place of walls to divide open areas. European styling gives a distinct look and feel to any room. 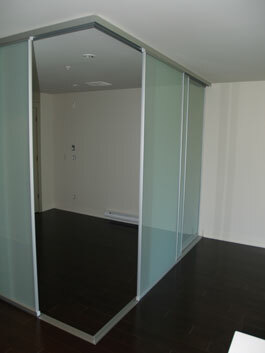 Perfect for condominiums where building code requirements call for natural light in bedrooms without windows. 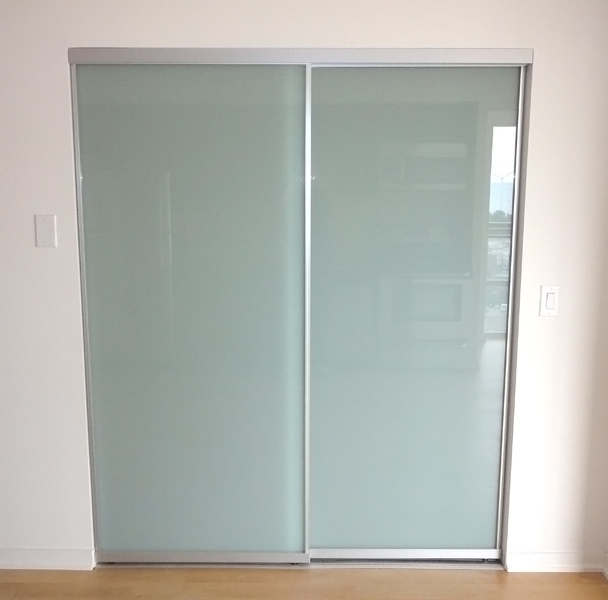 Combine two inserts for a unique look. 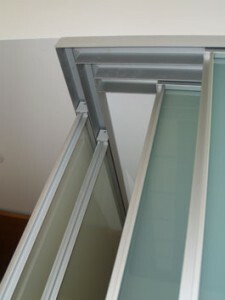 Top or bottom rolled track system. 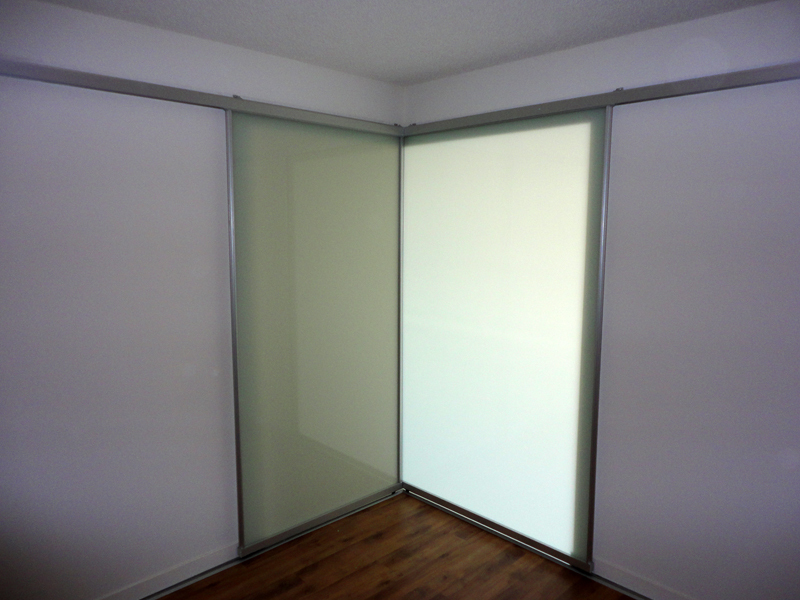 In either bypass, byparting or barndoor configurations to suit your requirements. 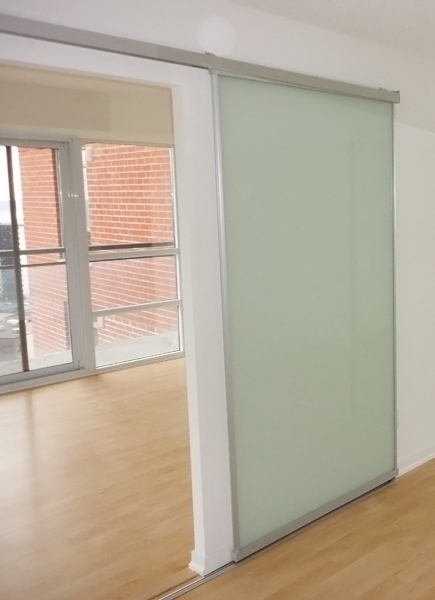 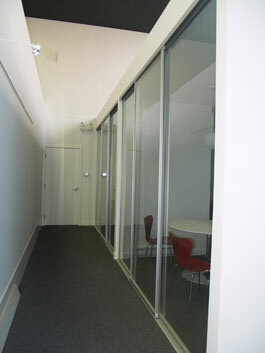 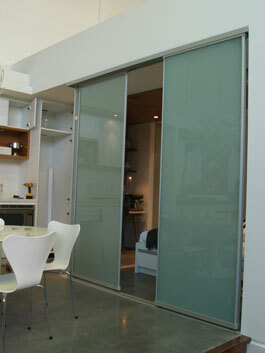 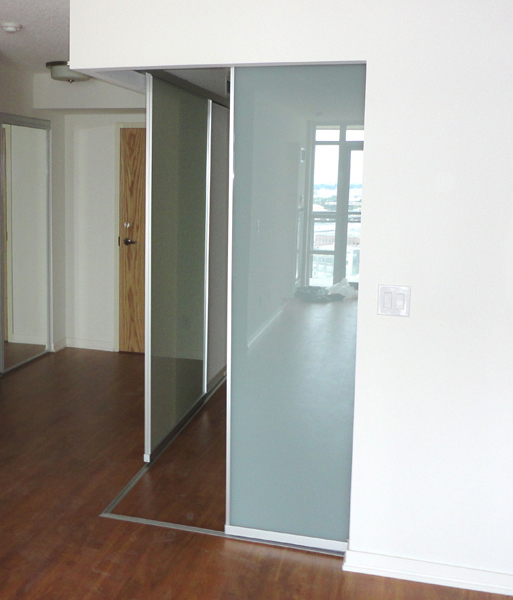 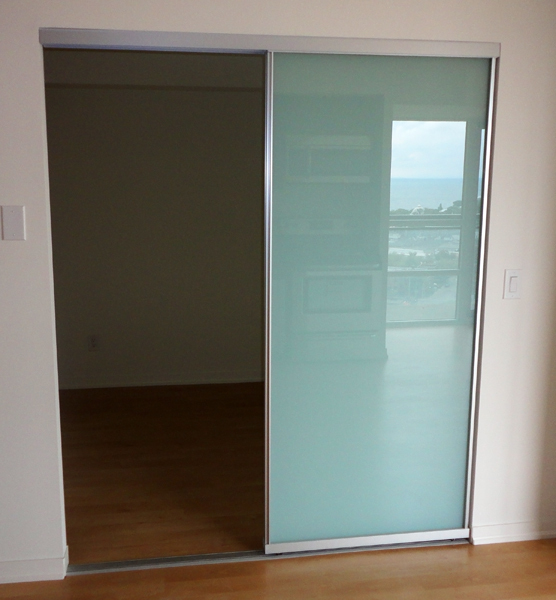 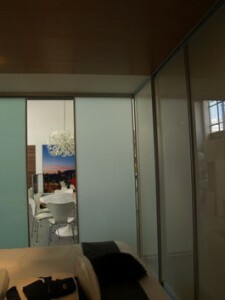 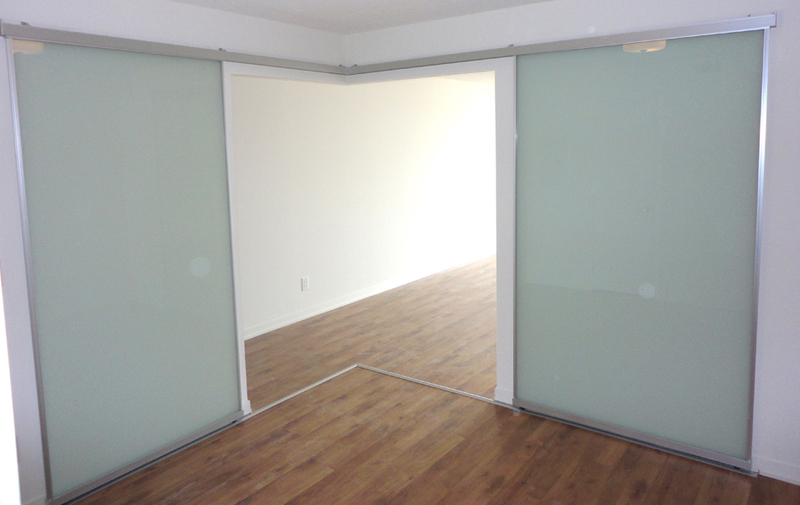 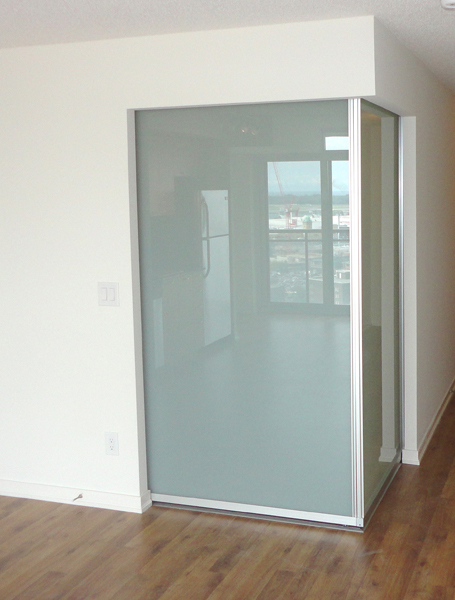 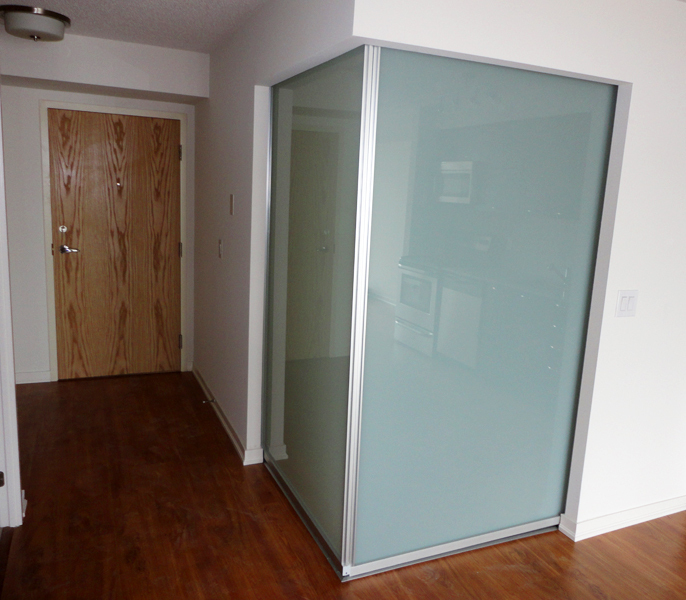 White laminated glass lets natural light enter a room while maintaining privacy. 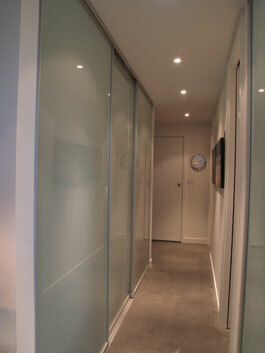 Adding tracks allows the doors to stack in front of each to enhance the size and feel of a room.